cowboyeagle05 wrote: The difference is that LTV Tower and the Statler were planned to do that. The developer who cleaned about both of those properties was known for cleaning out buildings and flipping them to a finishing developer. Here the Drever people intended to actually finish the job but continue to fail to do so. Can someone just flip the building to Headington? I am sure he can finish the job and he won't have much history to ruin here unless he tears down the whole building. That is not what we were told at the time regarding either LTV or the Statler. Remember The Grand Ricchi? An elephant never forgets. Yes, I know but that developer had a history of doing just what he did in other cities he strips these buildings of their outdated interior parts and flips them as a shell ready for another developer to finish. What he promised seemed to be more of a showing of what could be done by the next guy than a real promise of actually doing it himself. The new developer no longer has to deal with things like asbestos and he can just focus on historical preservation challenges. Just the asbestos remediation alone of this project is the killer problem. If the building was put up for sale as a shell cleaned out on the inside it wouldn't be such a mountain of difficulty. Throw in the fact that the exterior marble was basically falling off the exterior you then have to dump a lot of capital just into making the building not a public safety hazard before you talk about making it an income generator. To be honest, the reality is a bunch of money, either way, would have to be dumped on this property to make it useful. Even if you tore it down thinking you would just build a new flashy tower on the site the demolition cost would be potentially more than asbestos remediation and marble restoration. I don't have actual numbers of course but they do tend to balance out based on some peoples estimates who work in the business. We may just have to watch another developer fail before someone can pick up the torch for the triumphant finale. I put Grand Ricchi on the list of worst names. In 2013, the TIF award for the project was cancelled as a result of the developer not meeting project deadlines"
In 2013, the TIF award for the project was canceled as a result of the developer not meeting project deadlines"
Here let me restate it this way. I don't care what was assumed on this forum at the time but what I am saying is the developer had a history of doing exactly what he did do to the Statler and LTV. Cleaning buildings out and flipping the properties. I am sure at the time I also believed he wanted to do more than clean out the building including being distracted by pretty renderings and meetings with the city. If that thread was still available that's fine I'm sure you could dig out the evidence but that's not what I am talking about since this isn't a court of law. What I am saying now is that what did end up happening to both the Statler and LTV tower was what that developer had a history of doing and did do to previous properties in his past. That may be what happens here to the Drever. It's probably also a tougher sell to get tax credits, or other local money, when selling it as a clean up job. Instead, those pretty renderings probably help get boxes checked at city hall. I'm not saying their intent was one way or another, but I do believe that plays a role as well. But I do hope the Drever moves forward under it's current plan. Any plan changes, good or bad, will likely result in a delay of at least a couple of years. "He doesn't know how to use the three seashells..."
After several months of no visible activity, yesterday I saw them extending the north side construction wall onto the DART platform. Maybe prepping for removal of the rest of the marble on that side? Who knows. At least they're doing something again. I hope it's not dead, this is such an active part of downtown with lots of people milling about, this particular property would be such a great addition to the level of activity we see in that area. Developers redoing one of downtown Dallas' biggest skyscrapers say they are close to obtaining new financing for the deal. The more than $300 million redevelopment of the former First National Bank tower on Elm Street has been in the works for almost three years. California-based Drever Capital Management bought the 52-story high-rise in 2016 and has completed environmental abatement and demolition of the interior of the 55-year-old downtown tower. But work on the project has slowed in recent months. Now Drever Capital in a letter to its investors says a new financing package for the construction project is pending. "Our $150M construction lender has received the final approval," the developer said in an announcement to its partners and investors. Drever officials would not provide any details on the source or the timing to the new financing. Zero Dollar and Lower Cost Benefits in Your Health Care Coverage. "We are not commenting an on ongoing transaction at this time," a Drever spokesman said. Last November, Drever obtained $66.7 million in funding for the skyscraper revamp from Starwood Property Trust, the New England-based firm that's the country's largest commercial mortgage real estate investment trust. The Elm Street project is the largest such redevelopment in Dallas history. The office tower -- vacant for almost a decade -- is being converted into a combination of apartments, hotel rooms and retail space called The Drever. The historic property is the last major downtown Dallas building awaiting a redo. The high-rise is being redeveloped into 300 apartments, a 200-room luxury hotel and retail space. There will also be a 12,000-square-foot food hall. Drever Capital says it has qualified for more than $100 million in historic building tax credits for the Dallas project. The city of Dallas has agreed to provide $50 million in financial incentives to give the old skyscraper a new life. Dallas' Merriman Anderson Architects designed the project. Andres Construction is the general contractor. I don't remember hearing about the food hall. That would be a perfect use for some of the massive base of the building, but it could be much larger than 12,000 square feet. Legacy Hall is 55,000 square feet. Something that size or larger would be awesome and could easily be supported by the 135,000+ daytime Downtown population. They'll have to update the signs there now... they all say "2018" for a completion/available date. I'd love to see something the size of Legacy Hall in the CBD, but it's hard when you already have a couple of food halls all competing with each other. I think, at the moment, you have the Farmer's Market and then I believe there is one in the West End's Factory Six03. The AT&T expansion will include a 2 story food hall, now it seems the Drever will have one too, and I'm pretty sure the Smart City District also mentions the possibility of adding a food hall as well. I'd rather see just one massive food hall in the center of the CBD, instead of all these smaller ones, but it seems it might be too late for that. DPatel304 wrote: I'd love to see something the size of Legacy Hall in the CBD, but it's hard when you already have a couple of food halls all competing with each other. I think, at the moment, you have the Farmer's Market and then I believe there is one in the West End's Factory Six03. The AT&T expansion will include a 2 story food hall, now it seems the Drever will have one too, and I'm pretty sure the Smart City District also mentions the possibility of adding a food hall as well. I know Factory Six03 is going to have restaurants spaces but I haven't heard of a food hall there. Do you have info on that? Smart City...... I wouldn't count on that to be a sure thing. Farmer's Market is not within walking distance for nearly all Downtown workers and residents. Especially on a lunch break. Maybe if they wanted a dinner and long stroll. The AT&T "food hall" has yet to be seen, how big it will be, how accessible it will be to non-Downtown workers. So I would say, The Drever (or somewhere else central in Downtown) is still ripe for a large food hall. With construction wrapping up on the redevelopment of a historic West End building, Plano-based Granite Properties is gearing up to bring a food hall destination to the ground floor of Factory Six03. The proposed 10,000-square-foot food hall could bring six to seven different dining venues and bars to this part of the West End, with a possible opening by the end of the year. I think these days the term 'food hall' is getting thrown around too loosely, so I'm not sure how much of an actual food hall this will be. But yeah, you make good points about all the existing and proposed 'food halls'. I agree Smart City is a long shot, but the AT&T discovery district is already happening, and plans for the entire development look fantastic. We don't know much about the food hall other than it will be two stories. Agreed on this point. I love what AT&T is doing with their HQ but at the end of the day I think the "food hall" will be a small food court similar to what we see at Renaissance Tower, 1700 Pacific, Plaza of the Americas, etc. A true food hall has many small booths, and usually feature locally driven concepts. I've looked at the floorplan of Six03 and still can't find anything but a few street facing restaurant pad shells. The Drever also benefits from having massive frontage on Elm, and massive frontage in front of the DART station. Imagine the whole first/second floors opened up with glass walls, and the food hall shining like a jewel box in a busy part of downtown. It would be so wonderful and bring so much liveliness to downtown. Also, all it takes is one that is better implemented to knock other players off the field. Everyone has to realize why the Drever is such a hard project to do. It's a massive skyscraper that is being reworked from bottom to top. Even some of the nearby office tower redos aren't striping their buildings of their interior walls down to the shell like the Drever. Most of those projects have been about updating amenities and some outdated systems or the ones adding a driveway for UBER pick up and drop off. Trammel Crow Tower is simply getting a new lobby and a parking garage. Add to that the reality that the exterior marble on the Drever was dangerously falling off the building and costs skyrocket even further. If Amazon were to announce they were coming to nearby Downtown maybe the investors would rubber-stamp the project based on expected demand but anyone who tackles this project is asking for a huge nest of roadblocks. I hope they can tackle the mountain of redevelopment here. The tunnels are a food hall simply waiting for a little renovation and a lot of rebranding. It's the break room tens of thousands of office workers, certainly not a leisurely or relaxing meal slot. The new CBD food courts have a different function from those in the suburbs, such CBD meal options do not need to provide an all encompassing or even well rounded experience because there's so much other stuff within walking distance -- EVEN during this lingering but still diminishing stage of societal anemia in the CBD -- the food courts are niche retail while in the suburbs they are mainstream. 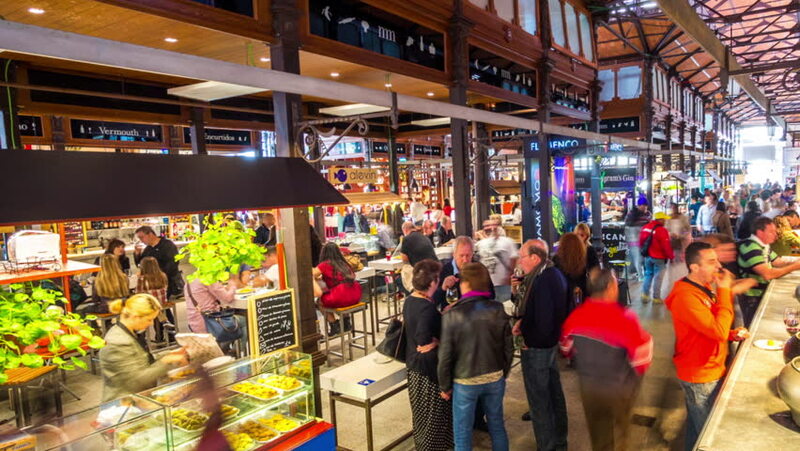 There's no need in the CBD to have massive food halls. Just talk to One Main Place. Its basement is just under the lobby and is already set up like a mini mall with stall like retail spaces. Most of them are empty. I imagine with some more investment and good branding they could market it as a food hall with the right approach. tamtagon wrote: The tunnels are a food hall simply waiting for a little renovation and a lot of rebranding. It's the break room tens of thousands of office workers, certainly not a leisurely or relaxing meal slot. What a brilliant idea! I've always wondered how we could re-purpose these tunnels into something useful, and I think you nailed it. cowboyeagle05 wrote: Just talk to One Main Place. Its basement is just under the lobby and is already set up like a mini mall with stall like retail spaces. Most of them are empty. I imagine with some more investment and good branding they could market it as a food hall with the right approach. Totally and easy call. I'm not really sure why this hasn't been happening all over the city. Breakroom Food Hall would constrain street level restaurants operations, but the pressure applies primarily to the QSRs but at this point enhances the restaurants when office workers have more than an hour-ish. Again, people here are mixing up food court with food hall. Totally different animals. 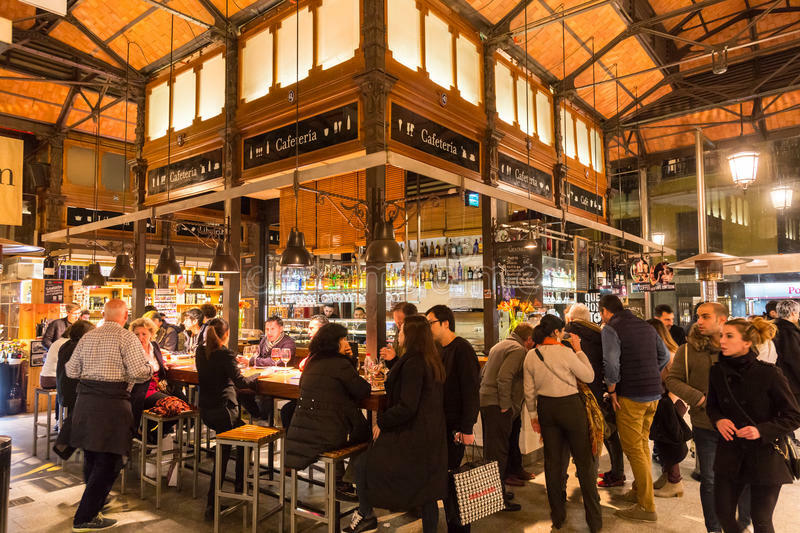 A food hall is not just a bunch of restaurants in an enclosed area and typically do not include fast food or corporate chains. The tunnels in Dallas will NEVER be a "food hall" and I'm okay with that because they serve their purpose as a cheap and quick place to eat for office workers. 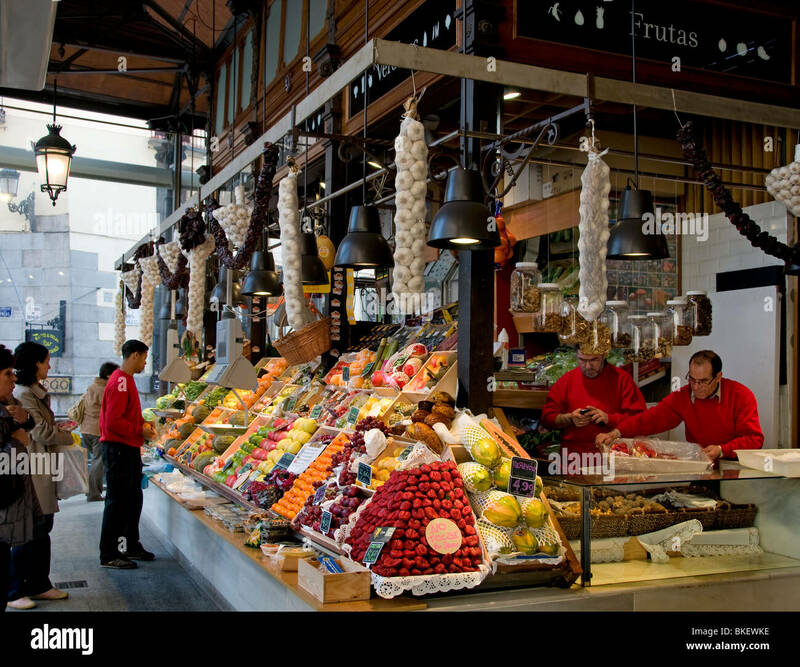 A food hall will have many STALLS, which focus on a small menu of items they do very well, or even just drinks. They are typically locally owned and not a chain. One place may offer just a few seafood dishes, another sells fresh seafood to take home and cook, another focuses on cured meats, another sells high quality produce, another focuses on kebaps, another focuses on sushi, another focuses on Korean bowls, another is a wine/tapas stall, another sells artisan chocolates, etc. You think food halls are cool? Just wait until you try the.....FOOD TUNNEL! Aren’t the tunnels the reason why Downtown has lower pedestrian activity? I’ve been in the tunnels during lunchtime and most people don’t realize how busy they can be. The street level is dead in comparison to certian sections of the underground tunnels. The article doesn't make me feel any more confident about the project. Their announcement to investors amounts to almost nothing we didn't already know, besides finally acknowledging that work has stopped on the project. "We gave final approval..." but they won't elaborate on any details. Just like "I'm thinking about doing work today" won't fly with my boss, I wouldn't be surprised if this doesn't fly with increasingly skeptical investors. I'm enjoying the talk about food halls, but the reality is that we'll probably have 3 or 4 food halls open in the CBD before this project takes off. I wish I could be more positive, but time and time again Drever has pulled a "smoke and mirror" show. There's considerable city money at stake here. It's time to hold them accountable. "Fool me once, shame on you. Fool me twice, shame on me." Matt777 wrote: Again, people here are mixing up food court with food hall. Totally different animals. trueicon wrote: The article doesn't make me feel any more confident about the project. Their announcement to investors amounts to almost nothing we didn't already know, besides finally acknowledging that work has stopped on the project. "We gave final approval..." but they won't elaborate on any details. Just like "I'm thinking about doing work today" won't fly with my boss, I wouldn't be surprised if this doesn't fly with increasingly skeptical investors. But I'm sure they seemed sincere when they said it. Indeed, the article is pretty much devoid of news. Despite its long and sometimes tortuous multiyear road to this point, Drever Capital predicts a 9% return on cost, compared to 6% for comparable properties. That is due, in part, to securing $150M in historic tax credits on a renovation that is expected to cost in excess of $380M and will be completed in 2019. "Our $150M construction lender has received the final approval to close and we're expecting the remaining lenders and participants of the capital stack to follow suit shortly," Drever Capital Management announced this week. "While JLL and the lenders were pushing for a June 22nd closing, we realistically expect it to occur on or before June 29th." The Drever, once the Hunt Oil Building, has a long and storied history as the location of the "Dallas" television show's fictional home of Ewing Oil. Its drift into redevelopment, and potential foreclosure, has been a roller coaster: from its sale to Maxwell Drever to the departure of its longtime financing partner to loan defaults to the status of its various liens to the source of its new financing. Abatement of the hotel's asbestos was the largest such project in the state's history. Meanwhile, restoration of the tower's signature marble continues, and framing of the 38 floors of hotel rooms and apartment units is complete, according to Drever Capital. "The remaining work to be done is essentially tenant improvements without the risks associated with a ground-up development," according to Drever's announcement, which opened the project up to additional investors. And now D Magazine weighs in with some disturbing details. Yikes. The developer of the historic, $380 million redevelopment project now known as The Drever in downtown Dallas says it’s days away from securing its construction financing. In a “Construction Finance Update” memo to investors that was not intended to be shared publicly, Drever Capital Management Chairman Maxwell Drever said a $150 million construction loan is expected to close as soon as June 22—but more likely on or before June 29. A spokesperson for Tiburon, California-based Drever Capital Management confirmed the memo was not intended to be disclosed publicly and said a press release would be issued once the financing closes. The former First National Bank tower, whose redo will include 324 apartment units, a 218-room Thompson Hotel, a spa, restaurants, and retail and office space, was posted for foreclosure in November. Drever Capital Management was in default for a $55 million loan and the 1401 Elm St. building was scheduled to be sold at auction on Dec. 5, 2017. Days after being posted for foreclosure, Drever got a six-month $66.7 million bridge loan from Greenwich, Conn.-based Starwood Property Trust, allowing the project to continue. On March 15, S&K Plumbing of Fort Worth Inc. filed a lien on the project for $16,500 after completing work on the project in December 2017, according to public records. In other words, S&K’s lien was for unpaid work that was completed one month after Drever Capital secured the Starwood loan. At the time, a spokesperson for the project told D CEO, “A small lien was filed and released the same week the project learned about it.” The spokesperson added that additional capital was “moving through the closing process.” S&K did not returns calls in March for comment. The 52-story, 1.5-million-square-foot Drever project is scheduled to be completed in 2019. Dallas-based Merriman Anderson/Architects is the project architect and Dallas-based Andres Construction is the general contractor. Bisnow, above, says it was once the "Hunt Oil Building". I understand Hunt Oil once officed in the building, but it was never named the Hunt Oil Building, was it? I really don't think food has any business in the tunnels anymore. It's an 80's mindset that needs to die a quick death. The sooner the city stops issuing food permits for underground dining, the sooner the street level retail and activity takes off. The tunnels themselves don't have to die, but they need a significant re purposing. Once that happens, you could easily handle three or four decent sized Food Halls throughout the CBD, open well into the evening... and we'd all be better off with it. The Drever would be a prime location for one of them, assuming the 'eyeball' plot doesn't get a stand alone version. That's good news sounds like once they do get running it's not a too lengthy process to start finishing out the interiors. The stonework on the exterior is the biggest pain to look at. The tunnels are used as the poster child for blame for the lack of street-level activity but it's not the whole story. The tunnels are ugly disconnected, leaking all the time and even when they were in their prime they were functional at most. I have worked downtown since I graduated high school so I know the advantage of an Air-Conditioned walk between buildings. I will give it to them when it comes to a lack of homeless they have it with the tunnels. Other problems are how badly the city provides for street-level amenities and general walkability. Narrow sidewalks lack of trees, crosswalk safety etc are also to blame. Let the chains stay in the tunnels the real restaurants on the surface level where they shine. No, I don't mean Valet driven institutions either you can have good affordable stuff on the street level while the chick-fil-as would prefer to close after lunchtime anyway. Those chains are not investing in Downtown and won't be until you can print money without worrying about parking as part of the equation. Tucy wrote: Bisnow, above, says it was once the "Hunt Oil Building". I understand Hunt Oil once officed in the building, but it was never named the Hunt Oil Building, was it? I assumed that reference was an inference from the TV show "Dallas." I do remember that the exterior shots for Ewing Oil (not Hunt, but loosely based on the family I presumed) were of this building. I know Thanksgiving Tower was home to lots of Hunt related enities once it was built. Hunt Energy and Hunt Properties are two that I seem to recall officed next door in Thanksgiving. Is it possible that Hunt Oil was in this building until Thanksgiving was built? So has construction resumed ?This project could easily be Dallas version of a baby Willis tower. Warrior2015 wrote: So has construction resumed ? This tower is either cursed or there is fraud happening somewhere. Not sure what this is about, but they've been installing metal posts for what looks like a new construction fence. This would support their claim that they're closing on new financing this summer. A higher barrier fence will probably look better, but having actual work going on behind it would be even better than that. I guess this project is as complicated (if not more so) as The Statler was, with multiple parts to the building and multiple eventual contractors/financial sources. Maxwell Drever said a $150 million construction loan is expected to close as soon as June 22—but more likely on or before June 29. A spokesperson for Tiburon, California-based Drever Capital Management [...] said a press release would be issued once the financing closes. So here we are, July 1, and no press release that I'm aware of. Anyone know something? There is nothing on their Twitter feed about it. Let’s form a Kickstarter campaign. Well, they have been moving along with the city aka the Dallas Urban Peer Review committee though...lots of renderings and details including street-level art, retail plan, amenity deck plans, only one in and out driveway along Elm. Work has resumed on the Drever as of yesterday. They are removing marble from the Northeast face of the building and they're doing something with the windows higher up on the East face. Good news! Jay9398 wrote: Work has resumed on the Drever as of yesterday. They are removing marble from the Northeast face of the building and they're doing something with the windows higher up on the East face. Good news! Any new updates or sign of countinued progress? I have seen people in there working, clearly something is going on. Tnexster wrote: I have seen people in there working, clearly something is going on. Ok good. I just haven’t seen any updates on The Drever’s Facebook page and got a little concerned. trueicon wrote: I'm enjoying the talk about food halls, but the reality is that we'll probably have 3 or 4 food halls open in the CBD before this project takes off. Speaking of food halls, by the end of next year, Houston will have five food halls downtown: Bravery Chef Hall, Lyric Market, Finn Hall, Conservatory, and Understory. The exterior of the Lyric looks like it might be an attraction in and of itself. Whether all can survive remains to be seen but there's no reason Dallas can't have something similar acting as a magnet to pull people downtown. That many food halls is way too much. Plus we have the whole Farmer's Market District that is doing very well.